Thomas Brown (1817 to 1848) was the brother of Philip Brown (1817 to 1895). 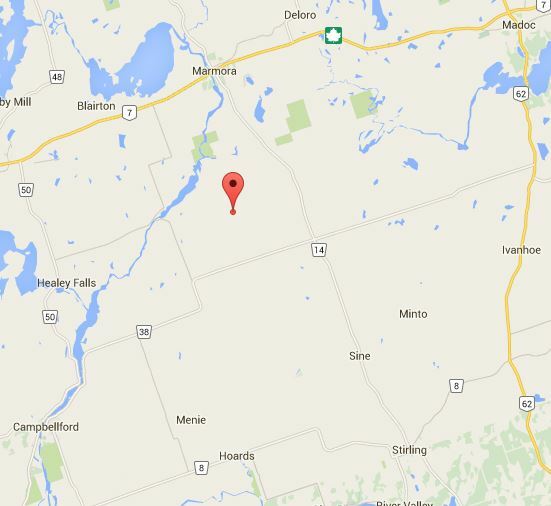 They both settled in Hastings County and Rawdon Twp. and remained there till their deaths. Philip Brown was born, according to cousins, on 29 March 1817 in County Longford, Ireland. He died 7 April 1895 in Rawdon Twp., Hastings County, Ontario. He is buried in the Stirling Cemetery in Stirling, Hastings Co., Ontario there is a tombstone for him at Find A Grave. Philip’s name is spelled with one “l” and sometimes two. I refer you to my post dated August 27, 2014, The Children of William Brown and Elsie: Philip Brown. In that post I wrote about Philip’s land in Hastings County along with other Brown family. I also talk about Margaret McMurray’s parents. Here is a review of Philip and Margaret McMurray Brown. It is interesting that this “McMurray” is Irish. On the other side of my family the McMurray’s are considered Scottish. Philip married Margaret McMurray about 1840. After a careful search of the records of the Anglican Diocese of Ontario in Kingston, I was unable to find a marriage record. Mary was born about 1819 in County Longford, Ireland and died 10 February 1878 in Rawdon Twp., Hastings County, Ontario. She is also buried in the Stirling Cemetery based on the cemetery book for Stirling Cemetery.  When I visited in September of 2014, I did not find a stone for her so I have created a Memorial at Find A Grave for her and linked her to Philip. 1851 – There is no census for Rawdon in 1851, it does cover a few areas of Hastings. 1861 Canadian Census, Phillip Brown Family, Rawdon Twp., Hastings Co., Ontario, #26, page 12. Line 1, Philip Brown, farmer, Ireland, C. England, age 45, male, married, log, 1 story, 1 family, all members of family. Margret Brown, Ireland, C. England, age 43, female, married. Wm. Brown, Laborer, born Canada, C. of England, age 19 male, single: Francis Brown, born Canada, C. England, age 17, female, single; Elley Brown, born Canada, C. England, age 15, female, single; Henery Brown, laborer, born Canada, C. England, age 13 male, single; Diana Brown, born Canada, C. England, age 11, female, single; Matilda Brown, born Canada, C. England, age 9, female, single; Margret Brown, born Canada, C. England, age 7, female, single, Alvina Brown, born Canada, C. England, age 5, female, single; Hariet Brown, born Canada, C. England, age 1, female, single. 1871 Canadian Census, Philip Brown Family, Rawdon, Hastings Co., Ontario, District 62, No. 2, Div. pg. 19. It is interesting to see that the place of birth is Ireland for all of them in this census. In the 1861 census the children are listed born in Canada. 1881 Canadian Census, Philip Brown Family, Rawdon, Hastings, Ontario, Dist. No. 122, North Hastings, Rawdon Twp., Div. #3, page 3. Line 17, 15, 15, Brown, Philip, M. age 65, Ireland, Ch of Eng., farmer, Widowed. Line 18, 16, 16 Brown Henry, M. 36, born Ontario, Ch. of Eng., farmer, M; Brown, [Hester] F, age 25, born Ontario, Ch of Eng., M; Brown, Arthur, M. age 6, born Ontario, Ch of Eng; Brown, Thomas, M, age 3, born Ontario, Ch of Eng. Brown, William, M, 7/12, born Ontario, Ch of Eng. We see that Phillip is now widowed and his son Henry (Thomas Henry) is living with him. The older children are out of the house. 1891 Canadian Census, Philip Brown Family, Rawdon Twp., Hastings Co., Ontario, District 74, North Hastings, SD N4, April 7, 1891 by a John _____, page 2. Line 9, W[ ] 9, Brown, Philip M, age 74, W, born Ireland, Parents born in Ireland, C. of England, Farmer, Read and write. On Sunday evening last Philip brown, one of the oldest residents of the township of Rawdon, came to his death under peculiar circumstances. About dusk on that evening a neighbor, Mr. Wright, called to see him at his house, where he was living alone, and on opening the door found the room full of smoke. He called to Mr. Brown, and getting no reply, groped his way to the bedroom where he found Mr. Brown lying on the bed, partly dressed, and in an unconscious condition. Mr. Wright took him in his arms and carried him out, and calling other near neighbors to take care of Mr. Brown, he with others soon extinguished the fire. Mr. Brown, however, did not rally, and expired about ten minutes after being taken from the building. The cause of the fire is a mystery. The deceased was over 78 years of age. The funeral took place on Wednesday, and was largely attended, service being held in St. John’s Church, Stirling. 1. William Brown was born 3 April, 1841 in Rawdon Twp., and was baptized at the Saint Thomas Anglican Church in Belleville on 2 October,1841. He died in Hastings Co., on 14 November 1822 and he is buried in Stirling Cemetery. He was baptised on 2 October, 19841 at the St. Thomas Anglican Church in Belleville. He married Emily Reid on 1 December, 1868 in Rawdon Twp.. She was born 5 October, 1850 in Rawdon to Elijah Reid and Isabella. She died on 23 April 1850 in Rawdon and is buried in Stirling Cemetery. They had nine children. 2. Frances Brown was born 9 January 1843 in Rawdon Twp. and she died 2 August 1933 in Northumberland, Ontario. She married a James Clements son of Thomas Clements (1803 to 1891) and Christina King (11 June 1805, Northern Ireland) and died 30 September 1901, Rawdon District. Frances and James had three children. 3. Alice Maria Brown was born about 1845 in Rawdon Twp., Hastings Co., Ontario. She married Gilbert Barton Wellman of Bonar Law, Hastings Co., Ontario who died 4 January 1936 in Hastings Co. They had about 4 children. She died 22 November 1921 and is buried in the Twelfth Line Cemetery in Hastings County. 4. Elizabeth Brown was born 26 January, 1845 in Rawdon, was baptized 3 February 1846 was baptized on April 28, 1861 at St. Thomas Anglican Church in Belleville. She died 20 Nov. 1921 in Hastings Co., She probably died in Manitoba. She married a William Cook of Rawdon and they had 4 six children. NOTE: These changes to her information moves Elizabeth from position four in the children list to the last child of Philip and Margaret, thus moving the others up. 5. Thomas Henry Brown was born 27 December 1846 in Rawdon District and was baptized on 28 January 1847 at the St. Thomas Anglican Church in Belleville. He died 15 September 1884 in Rawdon Twp. and is buried in the Stirling Cemetery. 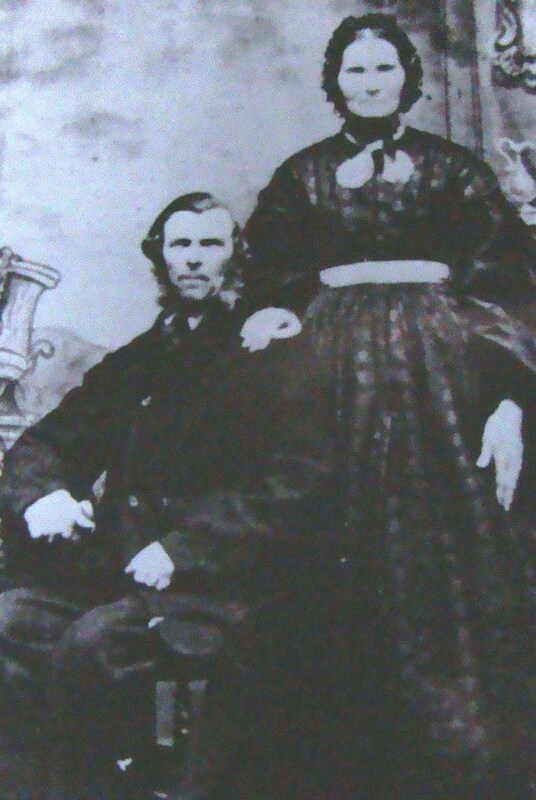 He married Esther Ann Downey who was born about 1856 in Ontario and died in the Rawdon District. Thomas and Esther had at least three children. 6. 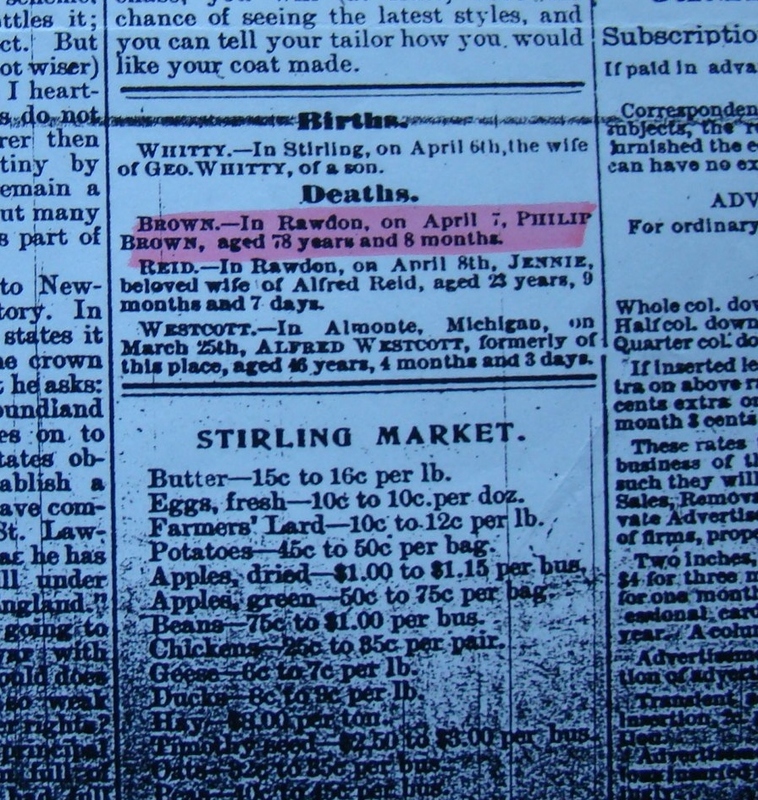 Diana Brown was born about 1850 in Rawdon Twp., and died 11 February 1902 in Oxford, Ontario. She married a Richard West on 2 April, 1877 in Hastings. RIchard West was born about 1850 in Hungerford to John West and Hannah. 7. Matilda Jane Brown was born 1 April 1851 in Stirling and was baptized 6 August 1852. She died 10 November 1936 in Sparta, Elgin County, Ontario. She married James Downy on 9 April 1873 in Stirling from Huntingdon Twp. 8. Margaret Brown was born 6 November 1854 in Rawdon Twp. and died in Kingston, Frontenac, Ontario. 9. Alvina Brown was born about 1855 in Rawdon Twp. and died in 1943 in Toronto, York Co., Ontario. She married a James Wallace Woodrow on 3 December, 1879 in Rawdon, Hastings Co., Ontario. He was born 17 May 1854 in Athol Twp., Prince Edward Island County, Ontario. He died 30 September 1915 in Picton, Ontario. They had 3 children. He was the son of John Woodrow Jr. (1826-1900) and Adelaide Williams (1831-1878). 10. Harriett Brown was born 1860 Rawdon Twp., Hastings Co., Ontario. In the next posts I will dig a little deeper into the lives of the children of Philip and Margaret Brown. This entry was posted in Alice Maria Brown & Gilbert Barton Wellman family, Alvina Brown & James Wallace Woodrow Family, Diana Brown & Richard West Family, Elizabeth Brown and William Cook Family, Frances Brown & James Clements Family, Hariett Brown, Margaret Brown, Margaret McMurray & Family, Matilda Jane Brown & James Downey Family, Philip Brown 1817 to 1895, Stirling Cemetery, Thomas Henry Brown & Hester Ann Downey Family, Twelfth Line Cemetery Rawdon Twp, Updates and Corrections, William Brown & Emily Reid Family and tagged Hastings County genealogy, Philip Brown Family of Hastings County on June 5, 2015 by BJ MacDonald.